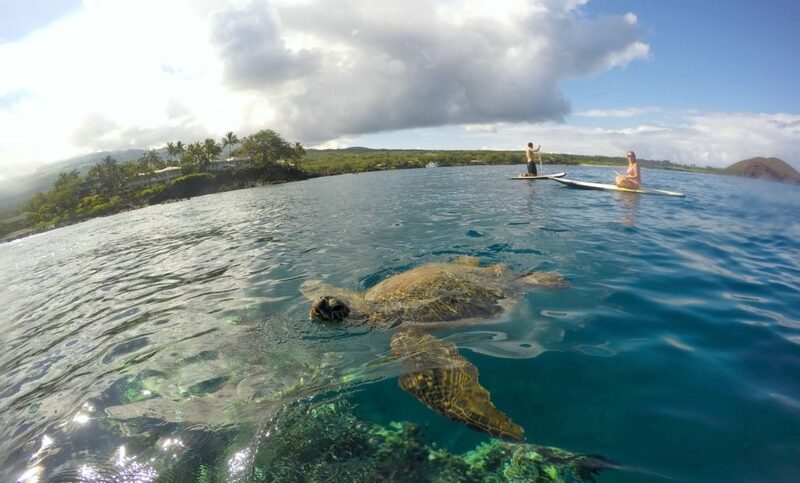 With year-round sunshine, crystal clear waters, and an abundance of scenic backdrops, Maui is the perfect place to learn to stand up paddle board. 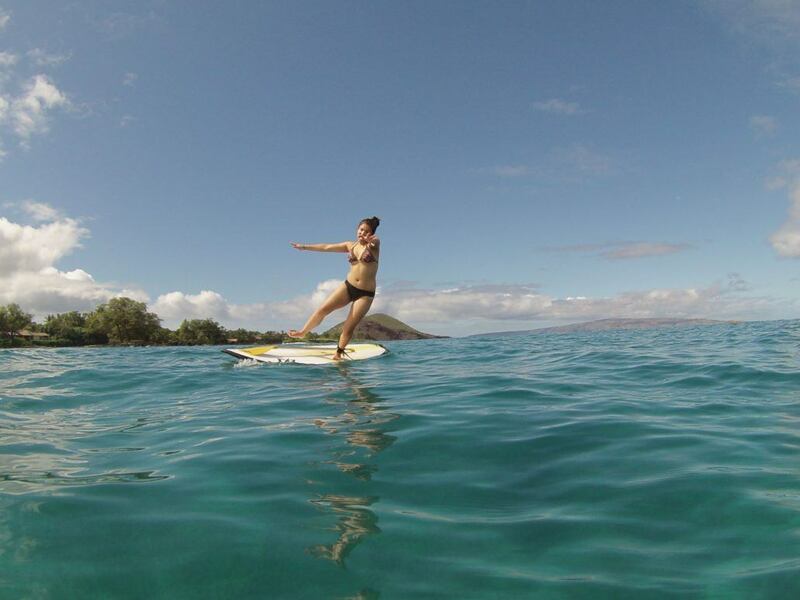 For visitors spending time on the Hawaiian island, a stand up paddle (SUP) lesson is the best way to enjoy Maui from a completely new perspective. You’ll see island landscapes and marine life that you may never see otherwise, away from the big crowds. 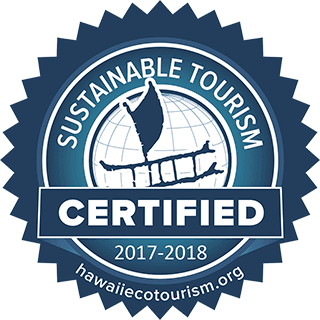 Safety is a top priority at Maui Surf Lessons, and our SUP guides are CPR, lifeguard, and marine naturalist certified. With their local knowledge, they take you to the best locations that you would (probably) never find on your own. By taking private or small group lessons, you can learn at your own pace without worry about keeping up or slowing down for others. Our guides also take photos for free, ensuring one less thing for you to worry about. We spoke with Maui SUP guide Andrew Smith who offered a few easy tips to make your first SUP lesson a success. By following these three beginner tips, you don’t have to be a pro like Laird Hamilton or Kai Lenny to have a great time stand up paddling in the ocean. This isn’t a race. Your SUP lesson will be much more enjoyable if you relax and take it easy. Jerky movements lead to unexpectedly falling off the boards. Another perk of going slow? You’re more likely to notice green sea turtles and colorful schools of fish swimming by. 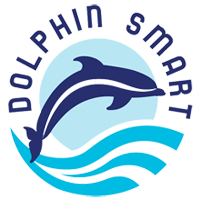 You might get even luckier and spot dolphins, whales or manta rays. Will you fall? Yes! That’s a given. That’s why it’s good practice to leave space between you and other paddle boarders. It’s much better to fall into the water and not on your friends! When you’re losing your balance and can’t stay on the board, step off your board into the water, almost like you’re gliding into a pool. Never fall onto the board itself. Our guides will take you to spots that are safe and fun. Know you won’t fall on anything sharp or be in shallow water. What people don’t know is stand up paddling is it’s almost like walking down the street. You want to keep forward momentum and look at the horizon, not your feet. This will help you considerably with your stability. Just keep looking forward. 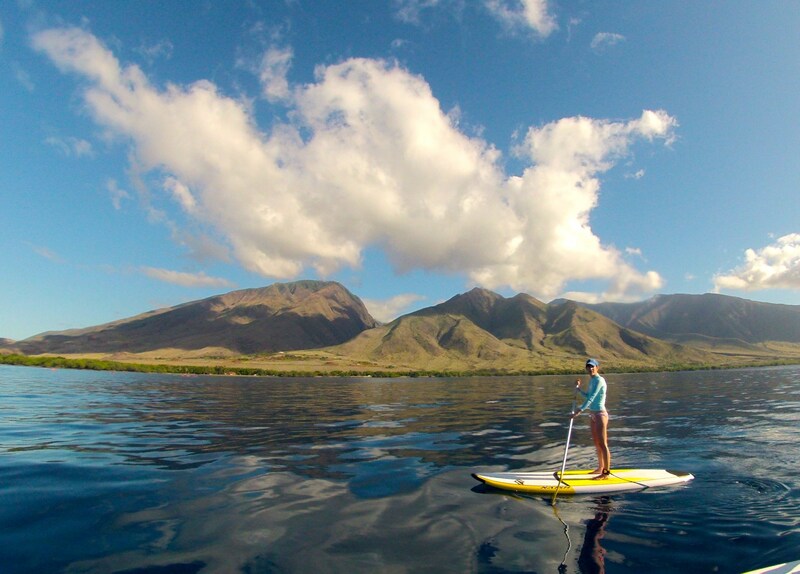 We hope you get the firsthand experience of stand up paddle boarding on Maui. It’s truly one of the best places in the world to SUP!